When windows are dirty, they can really detract from the overall look of the home, inside and out. While many homeowners have tackled the task of window cleaning on their own, the benefits of professional window cleaning are more significant than most would expect. We are insured to protect the safety of your home and our workers. We guarantee that all of our window cleaners are hired and trained directly by our company, so you will be satisfied with us every time! Yes, we carry general liability and workers comp. Certificates can be provided upon request. All windows are cleaned by hand individually. We use standard window washing supplies, including squeegees, buckets and soft cloths. We use a combination of mild soap and water to wash your windows. It is environmentally safe, will not leave streaks, and is non-abrasive. We do not use any acid-based products, ammonia, or vinegar. Yes, typically we like to do both inside and outside on your first service. After your first cleaning for the year, you can rotate from inside and outside window cleaning to outside only. Inside windows can stay cleaner longer, but there are some things that can contribute to your inside windows needing to be cleaned more frequently, i.e., if anyone smokes in the house, children, pets, misc. Typically cleaning windows can take anywhere from 1 hour to 6 hours; it all depends on the size of the house, how many windows, and when your last cleaning was. Also, if you have any storms, screens, or French style windows, those may add to the cleaning time. If you are a first time customer, we recommend that you are home for your window washing appointment. We like to do a full price quote and would like you to see how we perform the service, and answer any questions that you may have. If you are having your gutters cleaned, you don’t necessarily have to be home for the gutter cleaning. We can leave an invoice at your home after your gutters have been cleaned. We do ask that you mail in payments within 5 days after the service has been completed. We also ask that you provide us with a phone number where we can reach you if any questions should arise. If you are having your windows cleaned on the outside only, you don’t necessarily have to be home for this either—as long as any storms and/or screens that are on the outside of your windows can be removed from the outside. We do ask that you mail in payment within 5 days after the service has been completed. We also ask that you provide us with a phone number where we can reach you if any questions should arise. Do you offer service on the weekend? We bring our own equipment and supplies. We do ask that all blinds and/or window treatments are open or tied back before our arrival, and that there is a clear path to each window. Please remove any breakables or knick-knacks on or around the window area. Most maid services use a product like “Windex” and paper towels which will not clean your windows; it will rub the dirt around, which will create a static charge that will attract dirt and dust to your windows. Worst of all, it can scratch the glass. Our window washers use only professional window washing tools and equipment. We try to closely monitor the current weather conditions. If the weather is questionable on the day of your appointment, please contact us at 847-321-8261. Depending on your windows, we usually will keep the scheduled appointment, do only the insides, and then return on a nicer day to clean the outsides. No, not if they are clean. 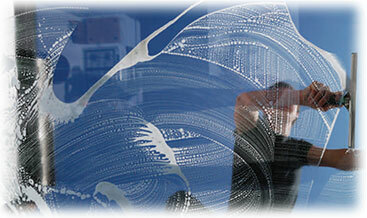 When your windows are clean, you don’t have any dust or dirt for the water to adhere to. However, if your windows are dirty, rain simply attaches itself to dirt that is already there, often making them look worse. The main reason for foggy windows is that you may have a broken or damaged rubber seal. The rubber seal is what keeps the gas between the pains from escaping. Your windows will look foggy because moisture gets in-between the panes. Payment is due upon completion of services, we accept cash, check, and all major credit cards.